Breakfast with Martin Bester surprised 'My f** Marelize' with a brand new mountain bike. The video of 'My f** Marelize' crashing her bicycle into rugby poles has spread like wildfire across South Africa. 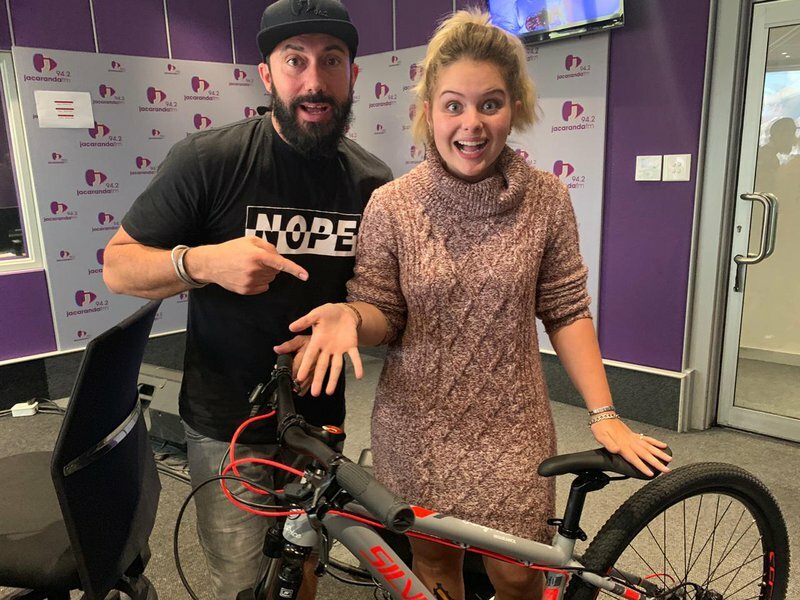 After her accident, Breakfast with Martin Bester surprised Marelize on air by giving her an airplane ticket, courtesy of British Airways, operated by Comair, to join us at Off the Beat 'n Track! Martin also surprised her with her own mountain bike for #OffTheBeatnTrack. She has been training really hard, even though she does not like bicycles. She said that she is excited and ready to cycle at the Big Red Barn in Irene. Martin wanted to know if her reading is as bad as her bicycle skills. He decided to test her by reading the traffic.